Improving worker safety is a major priority for any company, and Phelps offers an excellent line of mats that make this an easy objective to attain. Our mats will help keep floors clean, dry, slip resistant and will allow workers to control spills. The line of mats available can also help to protect your floor surfaces, saving you money in the short and long term. 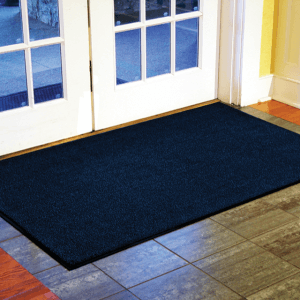 A majority of the dirt tracked into a building comes through the front door, but with our mats we can help cut down on the grime covering every square inch of your work space. Digitally printed logo mats reproduce fine detail, fades and 3D images. 25 standard colors and over 300 accent colors available. Static dissipative nylon yarn treated with StainStopper™ Technology. Available in durable, 100% Nitrile rubber or general purpose natural rubber. Molded tread surface cleats effectively scrape tough dirt and grime off of shoes, keeping soil below foot level. Grease Resistant mats are available in four OSHA-approved safety striped borders in green, orange, red and yellow. 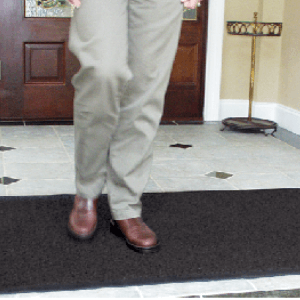 High twist, heat-set, solution dyed nylon yard resists crushing, traps dirt and extends performance life of the mat. Impervious to bleach, sunlight and repeated washing. 100% Nitrile rubber for superior grease and oil resistance. 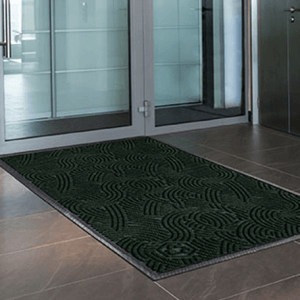 Treated with an anti-microbial agent to guard against degradation from microorganisms, reducing the possibility of mats being the source of odors. Anti-static properties allow for use around sensitive electronic equipment. Durable, closed-cell Nitrile foam rubber is resistant to grease, oil and chemicals. Edges are beveled for easier floor to mat transition. Textured surface offers a superior slip and skid resistance. Anti-microbial treatment reduces odors by inhibiting the growth of germs and bacteria. 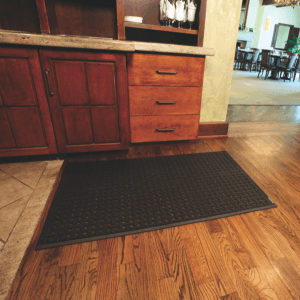 Fully launderable, Nitrile rubber backed Waterhog mat with a 100% recycled P.E.T. surface. “Water Dam” border is designed to hold dirt and moisture. Raised nubs hold dirt and moisture below foot level and are resistant to crushing.